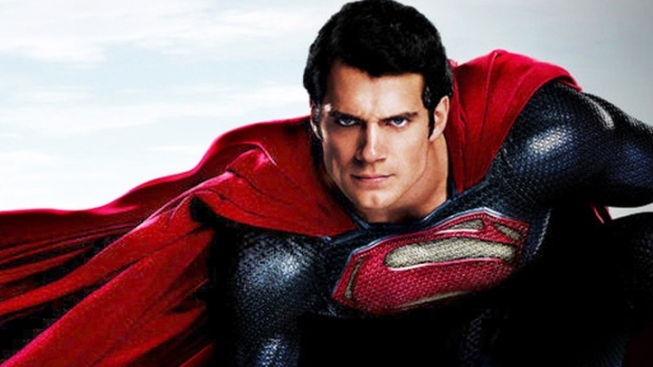 After Playing Superman, Do Actors' Hollywood Careers Take Flight? Any actor who takes on the role of Superman on film or in television has to wonder: Will playing the iconic superhero launch his career to new heights in a single bound and faster than a speeding bullet? Even so, will the weight of the Last Son of Krypton’s cape eventually limit how far and fast he may go? As Henry Cavill steps into the iconic big red "S" for "Man of Steel," he’s poised to become a household name overnight, and in recent years a superheroic role can be a long-term game-changer: Christian Bale went on to win an Oscar after playing Batman, Robert Downey Jr. spectacularly reignited a stalled career as Iron Man and Hugh Jackman has been granted a diverse array of high-profile show biz opportunities after Wolverine. But while Superman has always helped careers take flight, it can also sometimes serve as Hollywood Kryptonite when audiences refuse to see the actor beyond the emblematic suit. Soaring to Stardom, or Fortress of Solitude? “He's so iconic, such a part of American mythology and culture that it's very difficult for an audience to look at a guy in that suit flying around, acting earnest, very altruistic, and then see him as a drug dealer in his next movie,” says Rossen. “People go 'My God, that's not a drug addict – That's Superman! What's he doing?'" The first actor to give a face to the Man of Steel was Kirk Alyn, who starred in two film serials in 1948 and 1950. “Alyn was a song-and-dance man,” says Larry Tye, author of the 2012 book Superman: The High-Flying History of America’s Most Enduring Hero, “and it was a huge opportunity for him. This is a guy who is basically not really going anywhere as an actor, and he didn't care about being stereotyped. He cared about having a job, and this gave him one – and a high-profile one.” Afterward, though, Alyn worked only sporadically in bit parts through the 1950s and 1960s. More successful, at least initially, was the first TV Man of Steel: actor George Reeves starred in the syndicated “The Adventures of Superman” from 1951 to 1958, a ratings and pop-culture sensation in its day but generally regarded as kiddie fare for a then pre-teen Baby Boomer audience. Reeves’ sunny, patriarchal performance made him prominent enough to land a guest spot on “I Love Lucy” – though in character as the caped wonder whose mantle he would be unable to escape. “Reeves was an actor who had played one of the Tarlton twins in 'Gone with the Wind' and had aspirations for doing A-level movies,” says Tye. The actor felt he was slumming in the low-budget series and struggled to find opportunities outside the Superman suit, which he ritually burned at the end of each season. Frustrated, Reeves attempted to build a behind-the-scenes resume by directing episodes of the series, but he also led a troubled, alcohol-soaked, painkiller-addled personal life – he was involved in a long-term affair with the wife of a notorious studio “problem fixer” that turned obsessive on her part after Reeves broke things off and became engaged to a much-younger party girl. On June 16, 1958, Reeves was found shot to death in the bedroom of his Los Angeles home following a series of still-mysterious events. Debate still continues over whether a despondent Reeves committed suicide – the official verdict – or was the victim of foul play. Twenty years later, director Richard Donner would cast relative unknown Christopher Reeve in the lavish 1978 film production that would become the new standard-bearer for cinematic interpretations of superheroes. A 25-year-old Juilliard graduate, Reeve's straight-faced earnestness, inherent gravitas and soft-spoken charm – as well as a deftly comic approach to Clark Kent – would perfectly suit Donner’s sweeping, epic tone. By 1993 Superman had flown to the small screen: “Lois & Clark: The New Adventures of Superman” aired for four seasons on ABC and featured clean-cut Princeton grad and brief NFL player Dean Cain as the titular hero, but the show placed greater emphasis on his plucky reporter paramour and their romance, which ultimately led to a wedding. “His Clark/Superman character was second fiddle to Lois and Teri Hatcher,” says Tye. Cain’s post-Superman career has kept him steadily employed, primarily in small films, TV movies and series guest spots: his latest series, VH-1’s NBA cheerleader drama “Hit the Floor,” debuted this year. Like Reeves before him, Welling also ventured behind the camera on his series, taking a producer credit and directing several episodes. He later served as executive producer on The CW’s short-lived “Hellcats” and is currently developing a new series for the USA network.